Helo saunas have quite a storied history, starting with its humble beginnings in 1919 in Vyborg, Finland. The company has changed names numerous times, first as Karjalan Sahko, then Helo Tehtaat, then Oy Saunatec, and finally Helo Group Ltd. In 2008, the company merged with Tylo to become the TyloHelo World Group, becoming the largest sauna manufacturer in the world. The company operates out of Finland, Germany, Russia, Sweden, the UK and the United States. Regardless of the name changes, Helo has been at the forefront of the sauna and steam industry, keeping the Finnish tradition alive and well while designing products to meet the demands of modern society. Helo offers a huge range of sauna products, including rooms, electric and wood burning heaters, steam generators, custom cuts, far-infrared saunas, control units and accessories. The current company offers 6 brands, all of which we cover on the site. You have Helo itself, ﻿Tylo﻿, Kastor Oy, Finnleo and Amerec, all well-regarded companies in their own right. Helo prides itself on its ability to change and grow as a company, ensuring high safety levels and complying with all recommended international safety recommendations. They try to reduce energy consumption as much as possible and consider the environmental impact of their creations. Helo Saunas maintains a strong relationship with their distributors, supporting and training them to ensure that they provide a high level of customer service to their customers. They have a large research and development team as well as top designers to ensure that they are providing the very best products and adapting to the changing needs of their customer base. Helo saunas and related products are available at various dealerships around the world. 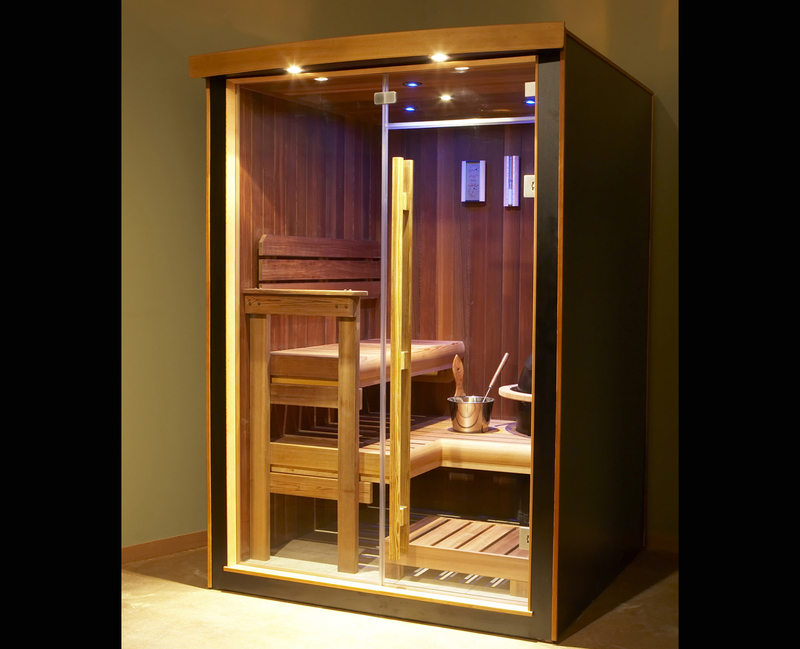 In the United States and Canada, there are about 30 or so distributors that carry their saunas. The small number is due to the exclusivity of these saunas...they don't just let any pool supply place carry their product line like some companies do. Although many of their products are quite expensive, there are affordable options like the Passport series, which has many of the features as their infrared sauna line at a much more affordable price. Some of the other series' to consider include the Serenity, Onyx, Northern Star and Arctic Lights sauna rooms. The far infrared offerings include the B series, the S series, and the 2 in 1 combination Infrasauna, which combines a traditional with an infrared unit. Their main office is in Cokato, Minnesota, and there's an 800 number on the site so you can call up to see if there's a dealer near you that sells Helo saunas. Otherwise you can visit the company website and use the map to find a dealer close to your location.